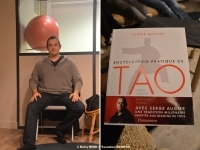 Serge Augier is the Heir of the Taoist Tradition of "Ba Men Da Xuan", which came from China to France with his Teacher. This Tradition has a Precise Lineage going back to the Year 510 in Kunlun. TAO is a Chinese Word signifying 'Way', 'Path', 'Route', 'Road' or sometimes more loosely 'Doctrine', 'Principle' or 'Holistic Science'. Within the Context of Traditional Chinese Philosophy and Religion, Tao is the Natural Order of the Universe whose Character Human Intuition must discern in order to realize the Potential for Individual Wisdom. This Intuitive Knowing of "Life" cannot be grasped as just a Concept but is known through Actual Living Experience of One's Everyday Being. Some Scholars make Sharp Distinctions between Moral or Ethical Usage of the Word "Tao" that is prominent in Confucianism and Religious Taoism and the more Metaphysical Usage of the Term used in Philosophical Taoism and most Forms of Mahayana Buddhism. Others maintain that these are not Separate Usages or Meanings, seeing them as Mutually Inclusive and Compatible Approaches to defining the Principle... The Tao is usually described in Terms of Elements of Nature, and in Particular as Similar to Water. Like Water it is Undifferentiated, Endlessly Self-Replenishing, Soft and Quiet but Immensely Powerful, and Impassively Generous. TAOISM (also known as Daoism) is a Chinese Philosophy attributed to Lao Tzu (c. 500 BCE) which contributed to the Folk Religion of the People primarily in the Rural Areas of China and became the Official Religion of the Country under the Tang Dynasty. Taoism is therefore both a Philosophy and a Religion. The philosophy grew from an Observance of the Natural World, and the Religion developed out of a Belief in Cosmic Balance maintained and regulated by the Tao. Taoism exerted a Great Influence during the Tang Dynasty (618-907 CE) and the Emperor Xuanzong (reigned 712-756 CE) decreed it a State Religion, mandating that People keep Taoist Writings in their Home. It fell out of Favor as the Tang Dynasty declined and was replaced by Confucianism and Buddhism but the Religion is still practiced throughout China and other ountries today. Unlike Buddhism (which came from India but became very Popular in China), Taoism arose from the Observations and Beliefs of the Chinese People. The Principles of Taoism impacted Chinese Culture greatly because it came from the People Themselves and was a Natural Expression of the Way the Chinese understood the Universe. The Concept of the Importance of a Harmonious Existence of Balance fit well with the Equally Popular Philosophy of Confucianism (also native to China). Taoism and Confucianism were aligned in their View of the Innate Goodness of Human Beings but differed in how to bring that Goodness to the Surface and lead People to act in Better, Unselfish, Ways. Serge AUGIER teaches the "Ba Men Da Xuan tradition", which is coming from the KUNLUN Region (China). The Mythological Kunlun is based Partially on the Kailash Temple and Partially on the Kunlun Mountains of the Tibetan Plateau. Different Locations of the Kunlun have been given in the Various Legends, Myths, and Semi-Historical Accounts in which it appears. These Accounts typically describe Kunlun as the Dwelling Place of Various Gods and Goddesses, where Fabled Plants and Mythical Creatures may also be found. Many Important Events in Chinese Mythology took place on the Kunlun. Another Historical Development in the Mythology of Kunlun, (again with Indian Influence) was that rather than just being the Source of the Yellow River, Kunlun began to be considered to be the Source of Four Major Rivers flowing to the Four Quarters of the Compass. The Kunlun Mythos was also influenced by Developments within the Taoist tradition, and Kunlun came to be perceived more as a Paradise than a Dangerous Wilderness. 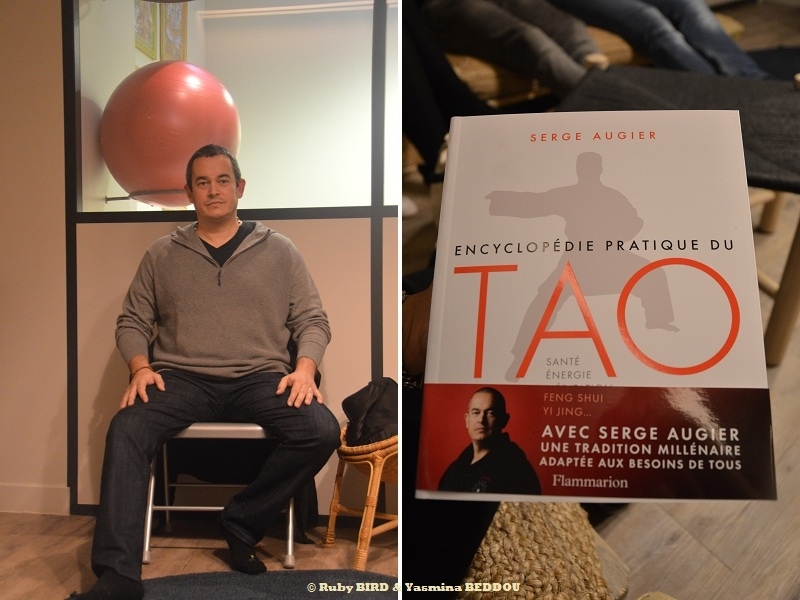 Source : "Tao Practical Encyclopedia" Media meeting on November 14, 2018 @ "Au tigre Yoga Club" in Paris, with the Presence of Serge AUGIER, the Author.